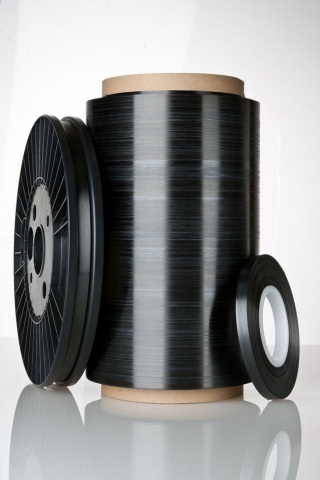 Teijin Limited announced today that its Tenax carbon fiber and carbon fiber thermoplastic unidirectional pre-impregnated tape (Tenax TPUD) were qualified by Boeing and registered in its qualified products list. Teijin will supply Tenax TPUD as an intermediate advanced composite material for primary structural parts for Boeing. Since Teijin and Boeing signed a Qualification Agreement in June 2016, the two companies have been working on material qualification testing and application study of carbon fiber reinforced thermoplastics (CFRTP) for primary structure parts. 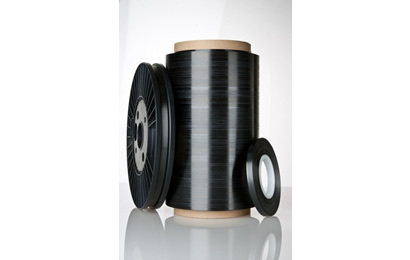 Tenax TPUD is a carbon fiber thermoplastic unidirectional pre-impregnated tape made with thermoplastic resin and achieves high heat, impact and fatigue resistances and helps to reduce production costs and improve component manufacturing efficiency thanks to its shortened molding process. Teijin plans to begin commercial shipments of Tenax TPUD to Boeing approved parts makers within the next two years. Teijin focuses on the aircraft business as one of the growth strategies in its medium-term management plan for 2017-2019 and is intensively accelerating its development of mid- to downstream applications, such as cost-effective carbon fibers with higher-tenacity and higher-tensile modulus, intermediate materials including Tenax TPUD, carbon fiber thermoplastic consolidated laminate (TenaxTPCL), thermoset prepreg and non-crimp fabric. Going forward, Teijin intends to further strengthen its carbon fiber and its intermediate material business as a leading solution provider for aircraft applications, targeting annual sales in this field in excess of USD 900 million by around 2030. Teijin (TOKYO:3401) is a technology-driven global group offering advanced solutions in the areas of environmental value; safety, security and disaster mitigation; and demographic change and increased health consciousness. Its main fields of operation are high-performance fibers such as aramid, carbon fibers & composites, healthcare, films, resin & plastic processing, polyester fibers, products converting and IT. The group has some 170 companies and around 19,000 employees spread out over 20 countries worldwide. It posted consolidated sales of JPY835 billion (USD 7.6 billion) and total assets of JPY 986.2 billion (USD 9 billion) in the fiscal year ending March 31, 2018.